The natural bounties and abundance of Jammu Kashmir is accentuated by its varied geographical conditions. The state is blessed with beauty that is mesmerizing and magnificent. 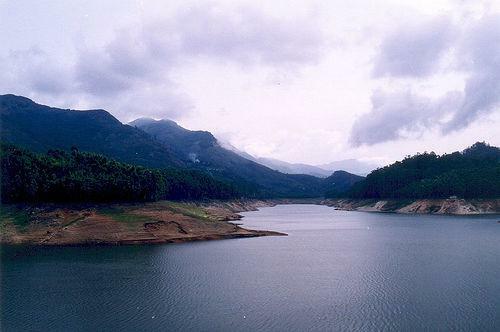 It has numerous water bodies to inundate the green pastures and hills of this region. These rivers, lakes, waterfalls, and natural springs are an integral part of its eco system. They enhance the beauty of Jammu Kashmir and are also the major source of water for the state. 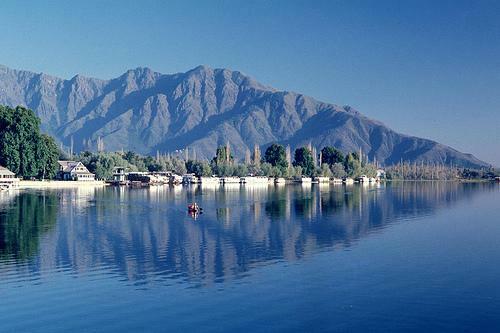 Stretching over 18 sq km, Dal Lake is the fascinating gem that enhances beauty of Srinagar. It is fringed by Himalayas on three sides and exquisite gardens, border this lake. The most alluring feature of Dal is the canopied Shikara and giant houseboat hotels, more than 500 in number. The sun decked roofs of these house boats offer picturesque views of its wide expanse. 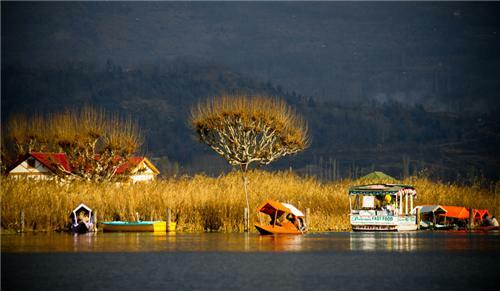 There are floating vegetable and fruits markets, floating vegetation islands, and lots of adventure sports to offer glimpses of cultural Kashmir. Also commonly known as Cousin of Dal, Nagin Lake is interconnected to it by a water channel. It has Zabarwan Mountain in one side and Hari Parbat on the other. Like Dal Lake, it also freezes in winters. In fact, all the activities and attractions of Dal are available on this lake as well. However, Nagin Lake is deeper and clearer than the former. As such, swimming and water skiing is quite refreshing here. This lake is also dotted by numerous houseboats moored in its depths. 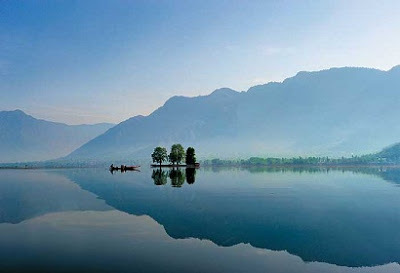 Wular is the largest fresh water lake in Asia. Fed by Jhelum River, this lake covers area of around 200 sq km. This lake is apparently believed to result from a tectonic movement in this region. It houses some of the rarest flora and fauna. Wular also has ruins of a 15th century island that is, now, a major picnic spots. Its rich marine life produces more than 60% fish yield of the state. The lake is fringed by beautiful Coniferous forests. The wetland also has vast areas covered with alpine trees. This perfect tourist destination is a favorite place for bird watchers as well. One can spot rare migratory birds like short toed Eagle, Herons, Shoveler, Egzet, etc. in Wular Lake. This deepest lake of India is nestled beautifully in Jhelum Valley. It has pristine beauty enhanced by its crystal clear green water. Manasbal is named after the sacred Lake Mansarovar. It is the most natural habitat for aquatic birds in Jammu Kashmir. As such, it becomes paradise for bird lovers in winters. During summers, Manasbal Lake is blanketed by Lotus and it overlooks the magnificent Mughal Gardens called Garokha. It is surrounded by three villages, viz, Kondabal, Ganderbal, and Jarokbal. It is quite famous for fishing as well as vegetation of vegetables and lotus that is consumed locally as well. This enchanting lake is equally famous for its beauty and mythological significance. It has a shrine dedicated to Sheshnag on its eastern banks. It is believed that three circum ambulation around this lake bestow the newlyweds with blessings of Sheshnag. In the proximity of Mansar Lake, two ancient temples of Narasimha and Umapati Mahadev are also located along with several other shrines. 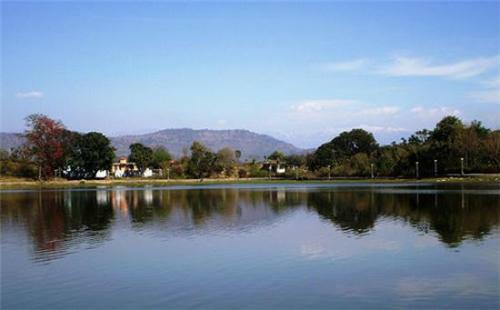 This lake is a preferred excursion from Jammu and it has remnants of a ruined palace and Mahor Garh. 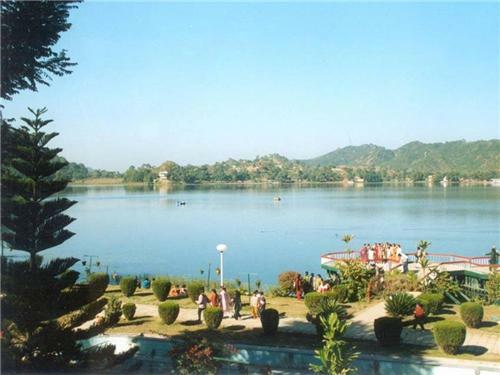 The enthralling beauty of Mansar Lake is complemented by festivities being organized here from time to time by J&K Tourism. These include Baisakhi festival, Chhing Festival, and Folk festival related to Dogra culture celebrated in May every year. At the distance of 42 km from Jammu, picturesque Surinsar Lake defines the beauty of this region. The lake has its mythological importance as well. As per legends, it is believed that during era of Mahabharata, At Mansar, Arjuna shot an arrow in the ground and this arrow came out from Surinsar. As a result, these two lakes were formed. In summer season, the lake remains covered with lotus flowers while the dense woods encircling this lake present a scenic view. In Ganderbal district, Gangabal Lake is beautifully nestled in the foothills of Mount Harmukh. It is a natural habitat for brown trout. Also called as Harmukut Ganga, this lake is very pious for Hindus of valley. They consider it as sacred as the Ganges in Haridwar. An annual three day Harmukh Gangabal Yatra is also held here annually in September month. It is primarily fed by springs and glaciers along with precipitation. An adventurous and exciting trek from Naranag takes you to this serene lake. 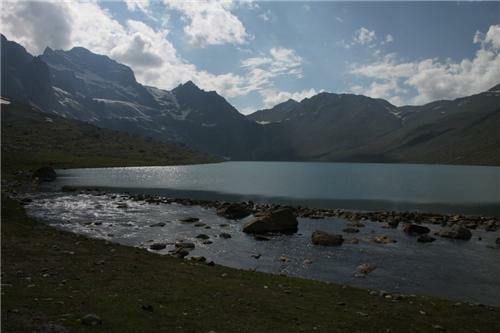 There is also another trek route from Sonamarg through Vishansar Lake. 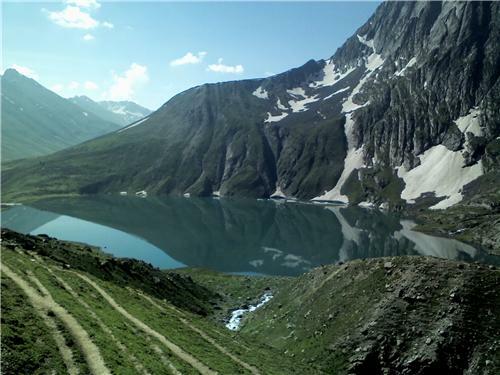 This sacred lake is situated on the route to Amarnathji Caves in Pahalgam, Anantnag district. 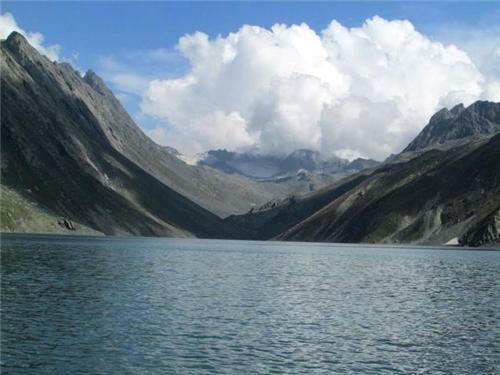 At an elevation of 3590 meters above sea level, this lake is situated 23 km away from Pahalgam. It is believed to be created by Holy Sheshnag, the king of snakes. Many people camp at this lake site after trekking a long distance. Sheshnag Lake freezes during winters and becomes inaccessible as such. Even during summers, it is difficult to reach and water of this lake remains extremely cold. Chandanwari is the nearest halt to reach Sheshnag. But once you reach there, the unbound beauty of nature with snow clad peaks and picture perfect ambiance. The lake is believed to exist at this place since time immemorial. It makes this destination even more intriguing for the adventure freaks. This enchanting almond shape lake is situated in Anantnag district of Jammu Kashmir. Peaks of Mount Kolahoi engulf it and separate Tarsar Lake from its twin sister lake Marsar. This lake is drained by Lidder River towards the east. Beautiful alpine flowers blossoms its basin while many migratory birds can be spotted here in the winter season. The lake is accessible through Aru trekking camp site in Pahalgam. Another trek is available from Sumbul in Sindh Valley at Ganderbal. Tarsar Lake and Marsar Lake are accessible only during few summer months. In the vicinity of Sonamarg, Vishansar is a high altitude lake at an elevation of 3710 meters. This charming lake is home to fish varieties including brown trout. While summers have it surrounded by green meadows, it remains under snow during winters. It is the trekkers’ paradise due to its scenic beauty comprising of alpine flowers, snowy peaks, small gorges, glaciers, and lush meadows. 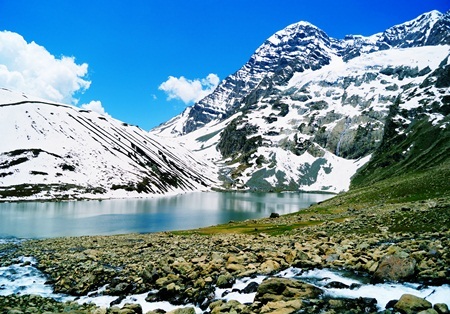 Months from June to September are best time to reach Vishansar Lake. It takes a trek of 35 km from Shitkadi in Sonamarg. It also has Krishansar Lake at proximal distance of 1 km towards its south east. This lake, also called as Yemsar Lake, is a charming lake full of flowers. It is situated in Ganderbal district and it also has numerous fish varieties. It is the natural habitat for brown trout. It remains covered with snow during winters while you can also find ice bergs floating on it during peak summer season. Wild alpine meadows surround this lake all through the year. This serene lake is fed by the glaciers and it joins Neelam River towards northwest. It can be reached by trekking through Naranag or Shitkadi in Sonamarg. This is the most tranquil lake of Jammu Kashmir. At the distance of 160 km from Leh, it offers breath taking views en route as well. Pangong is the highest brackish water lake in the world at an elevation of 14, 256 feet above sea level. It lies on Indo China border. As such, only 1/4th of the lake falls under Indian Territory. But even this much is enough to captivate your imagination for a lifetime. It offers panoramic views of its surroundings and many migratory birds can be seen hovering over it. It is very difficult to reach this lake. You need 4 wheel drive cars with high ground clearance to reach here. You have to pass through Changla Pass which is also third highest motorable road in the world. Interestingly, many Indian films have been shot at this pleasant locale. This scenic lake is located at distance of 13 km from Srinagar on Baramulla Road. All along its banks, you can find willow trees lined beautifully. This lake is around 5 km long. This lake is also called as Vishnopad Lake. It is situated at distance of 34 km away from Shopian. At the whooping height of 4000 meters above sea level, it is nestled in the mighty Pir Panjal Ranges. This 5 km long lake feeds the River Vishav. 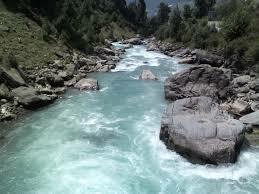 Bringhi River is one of the major rivers in Jammu and Kashmir which flows through the state. It pours its water in the River Jhelum near Anantnag. It rises from the glaciers near Sinthan valley and passes through gorge of Daksum. Bringhi river valley in Anantnag is remarkable place of tourism in Jammu and Kashmir. Rising from Bara Lacha Pass in Himachal Pradesh, Chenab flows quite few kilometers through the state of Jammu and Kashmir. Chandra and Bhaga rivulets are the major tributaries of River Chenab. It starts is journey in Jammu and Kashmir by amalgamating with River Marau in Bhandera Kot. 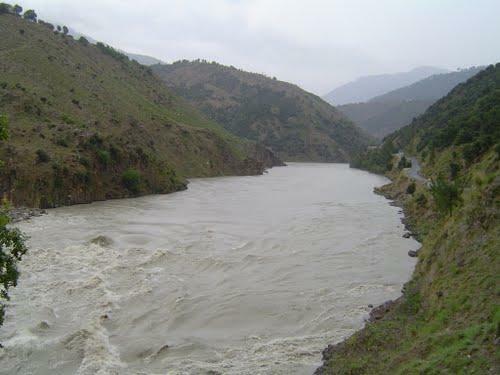 It flows through the Jammu region in the state and joins Jhelum in the plains of Punjab in Pakistan. Few dams have been built across this river to produce hydro-electric energy. Known as Stod River, it is one of the important rivulets that flow through the valley of Jammu Kashmir. It originates at Doda peak at Drang-Drung Glaciers and finds its course in the direction of south-east. 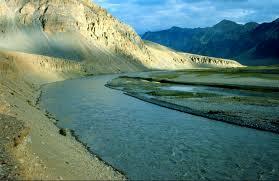 Zanskar valley is the place that is nourished by Doda River in Jammu Kashmir. Padum and Tsarap rivers are the major tributaries of Doda River. 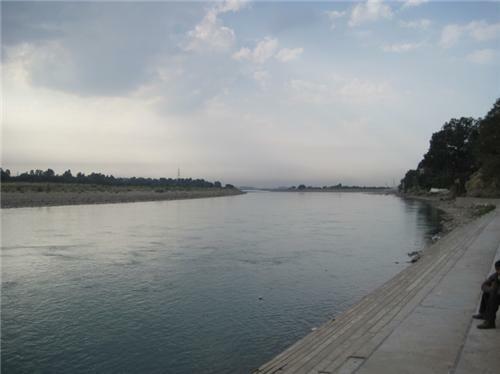 Jhelum River is one of the major rivers in India. It emerges from the valleys of Kashmir and flows nearly 203 kilometers in the state of Jammu Kashmir out of its total length of 725 km. Jhelum showcases spectacular views while coursing through the valleys and terrains of this region. The origin point of Jhelum is popular as Verinag, which is also a topmost tourist destination. Starting from the foot hills of Pir Panjal, it passes through Srinagar and Wular Lake in the valley of Kashmir. Indus is one of the ancient rivers that found its name in Rigvedas as well. It is generally called as Sindu in Indian soil. It originates from the sacred holy pilgrimage of Mansarovar. It travels through China, India, and Pakistan which is believed to hold oldest civilization on earth. Interestingly, the name of India is derived from this river itself. 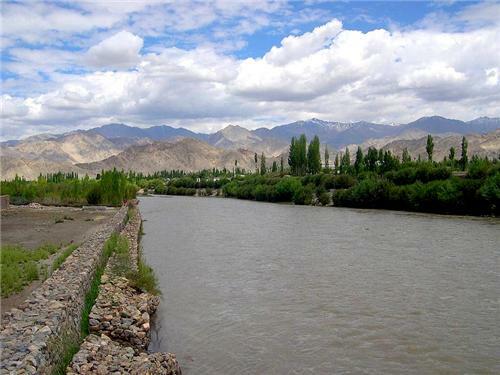 It enters Jammu Kashmir in Ladakh region on the south eastern side and flows towards north. The course of river is short in Indian Territory in terms of length but it certainly has great impact on Indian civilization. River Lidder is another important streams falling in the region of Jammu Kashmir. It originates from Kolhoi Glacier, same from which River Jhelum emerges. It is an attraction for travelers coming in Kashmir valley for natural sightseeing. The rising point of Lidder River is called as Lidder valley which also a beautiful place of tourism. 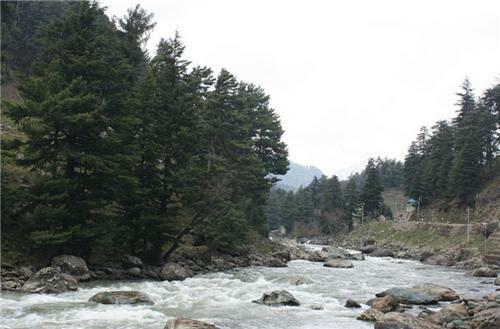 It flows through Sonamarg, Pahalgam, and Anantnag where it amalgamates with Jhelum River. River Sind and River Neelum are the main tributaries of Lidder. Brown trout, Rainbow trout, shuddgurn, and Anyour are few of the species of fish found in the river. River Ravi is one of the main tributaries of Indus River. It flows in the north western side of Jammu and Kashmir. It origins from the foot hills of Himalayan ranges and drains water from valley of Kashmir towards western side of state. As per chronology, Ravi is also called as Iravati River in Indian mythology. Nai and Budhil are the main tributaries of River Ravi. 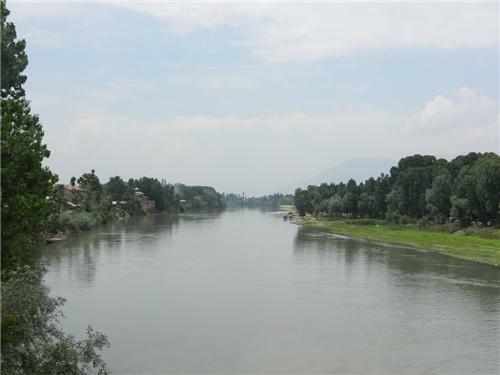 Tawi River is a divine stream that flows through the city of Jammu as an imperative part of its history. It is belief of Hinduism that Raja Pehar Devta had brought this river to cure his father. It is still a holy river of Jammu & Kashmir. It originates from the glacier of Kali Kundi. It flows through Doda district and Jammu region before entering the country of Pakistan. Zanskar River flows towards the northern tip of Jammu and Kashmir. It is one of the main tributaries of Indus River. 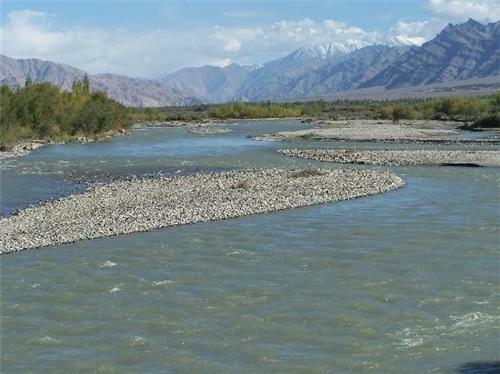 Doda River and Kargyag River are the streams which drains their water in Zanskar River. It is mostly highlighted for tourism in Jammu & Kashmir due to is magnificent views and scenes around the course of river. It is the tributary of Jhelum. It flows from Ludurmarg via Batmula in Srinagar towards Pir Panjal Ranges. It has two mountain streams viz, Yachera and Sangesafed originating from it. Sindh River originates in Dras and it is fed by famous Lake, Gangabal. Thereafter, it joins Jhelum in Shadipur. It has ski resorts of Sonamarg and Ganderbal located along its banks. Also, it serves irrigation of this region. Sindh Valley Hydroelectric Power Project is run by its water to produce electricity at Ganderbal itself. These are some of the most exquisite and important rivers flowing in Jammu Kashmir. Around 75 km away from Srinagar, you can discover the beauty of Aharbal Waterfalls. These falls are located in Kulgam district and formed from River Vishav, a tributary of Jhelum. It is surrounded by thick forests of pine and mesmerizing vistas of Pir Panjal Mountain. Due to the volume of water gushing down from these falls, they are also called as Niagara of Kashmir. It is the paradise for adventure seekers as well. This waterfall is located at elevation of 2000 meters in Bringhi valley. It has distance of 80 km from Srinagar. It is a famous waterfall originating from the spring with same name. From its source, it divides into numerous streams gushing down the mountain. Its water has curative properties. A beautiful botanical garden is also constructed for spending joyful holidays here. It is the largest fresh water spring in Jammu Kashmir. It is situated in Kothar district near Anantnag. Verinag means blue snake in local language. It was originally in circular shape but was later changed into octagonal reservoir by Mughal emperor Jahangir in 1620. Beautiful lawns surround this spring which holds spiritual significance for followers of Hinduism. These hot water sulphur springs are situated at height of 10442 feet in panamik village of Nubra Valley. They possess medicinal properties to cure rheumatism. The water of these springs is quite hot and you cannot stay in them for very long time. There are separate pools for men and women along with changing rooms and showers. These are the prominent water bodies in Jammu Kashmir state. They are admirable for their natural beauty and properties that they bestow upon the visitors.